As a grown-up, it is not as simple to “Go” when you have some problems. Well, when you are handling a baby that’s an easy task with grownups this is a completely different story. Below we will cover some of the alternatives you can use to relieve yourself without needing to go to the restrooms. When you’ve gotta go, you’ve gotta go. But if you’re away from home for business or pleasure, many people with neuromuscular diseases say, you could also be out of luck when nature calls. From cupboard-sized airplane restrooms to inaccessible public facilities to challenges involved in transferring independently, active people who have limited mobility face numerous obstacles in emptying their bladders away from home. In some cases, the issue is accessibility. 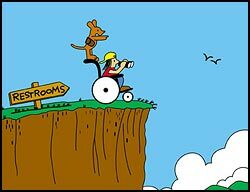 Not all public bathrooms labeled “handicapped” are easily reached by people using wheelchairs, such as those located on a different floor in a building with no elevator. Or the stalls may be too small for a chair or too snug for self-transfer. Maybe the bathroom or stall doors are hung awkwardly, creating a barrier to a person in a wheelchair. bathroom is accessible, but it’s impossible to transfer without assistance from a co-worker or a total stranger, neither of which is usually a desirable option. The SpillProof URSEC male urinal is from Mobility Transfer Systems. As for airplane restrooms — don’t get us started. Tiny and often inaccessible to begin with, those facilities are usually viewed by people with physical disabilities as more trouble than they’re worth. And considering the consequences, that’s saying a lot. Leaving home for a few hours or more typically requires tough choices and can result in some unpleasant realities, from holding it in until it hurts to being dropped by unskilled attendants during a transfer. Choosing greater involvement in life also may require tradeoffs that limit independence in other ways, such as asking for transfer assistance when you’d rather not. Other choices can be embarrassing (“just wear adult diapers”); painful (“just use a catheter”); and even unhealthy (“just say ‘no’ to water”). To help find practical solutions to this difficult problem, Quest interviewed product suppliers, healthcare practitioners and several people with neuromuscular diseases. There’s probably no single solution that will work for everyone, but we hope these ideas may prove useful, either as presented or when adapted to individual situations. Occupational therapist Vicki Pollyea of Tampa, Fla., has Charcot-Marie-Tooth disease, which has weakened her extremities and caused her to use a wheelchair. She can transfer herself, but fatigues easily. Pollyea works as a writer and speaker on a part-time, freelance basis. When she leaves home on errands or personal matters, she frequently obtains needed restroom help from her husband. Some people deal with the accessibility issue by choosing to wear special clothing, such as pants with open sides or seams, kept closed with Velcro. Corrections counselor Gail Ableman of Cheney, Wash., finds those unacceptable. Ableman has Friedreich’s ataxia, which affects her balance. She uses a wheelchair and can stand briefly to transfer. At work, she helps place female prisoners in a work-release program, and the nature of her position requires that she convey a strong, professional image. The Freshette urine collection device The Freshette urine collection device from International Sani-Fem Company may help some women with limited mobility. “I can’t let them know [my limitations]. I’m always telling them, ‘Don’t make me get out of this chair!’ I think they wonder if I can,” she chuckles. Strategies that work well for the semi-ambulatory may be of little use to those with more extensive muscle involvement. While an internal catheter or adult diapers aren’t very satisfactory solutions, those are two of the most common suggestions, notably from people who aren’t using them. Medical supply companies offer options that include a variation on an internal catheter. It features the usual tubing attached to a plastic collection bag, but the tip inserted into the urethra is pre-lubricated, which is said to be easier to insert and more comfortable to wear. However, many women with neuromuscular diseases say they prefer not to run the risk of infection or experience the discomfort that often results. Also, since self-catheterization requires a certain amount of flexibility and fine motor skill, those with limited upper-body mobility may require assistance with the procedure. Writer June Price of Milwaukee has spinal muscular atrophy and wears a corset and brace. She needs assistance in toileting and is an advocate for greater availability of trained attendants. “For a guy who’s got the sensation, it’s probably the last place a guy would go,” says Jerry Ferro of internal catheterization. With a master’s degree in rehabilitation counseling, Ferro runs a private counseling practice and leads a general support group for the Orlando, Fla., MDA chapter. Men, for obvious anatomical reasons, have a somewhat easier time of it than women when the bladder needs to be emptied away from home. A male external catheter. A male external catheter, like these from Rochester Medical, is fitted with a flexible condom that allows for continuous collection and added comfort. Ferro has SMA and uses a power wheelchair; he also uses a more comfortable urinary-collection device called an external or condom catheter. However, during extended periods away from a toilet, even a large leg bag can fill up. If there’s no acceptable place to empty the leg bag, a typical solution would be to use a portable plastic urinal as a temporary receptacle. But for those who don’t have room to conceal the device, a little creativity makes a big difference. “In public, we don’t use a standard urinal because it’s so obvious. We’ve found that with the Big Gulp-size cups [from convenience stores], you can pretty well hide them and nobody knows what they’re for,” says Ferro. In a private place such as a vehicle, he empties the leg bag into the cup, then leaves the cup hidden until he can dispose of it in a bathroom. DS Medical — Internal and external catheters, for males and females. Components such as catheter condoms, leg bags. (800) 633-1565; www.medshipdirect.com. A-Plus Medical — The Feminal, a portable plastic urinal for women. (888) 843-3334; www.aplusmedical.com. International Sani-Fem Company — The Freshette, a female urine-collection device. (800) 542-5580; www.freshette.com. New Angle Products — The Whizzy, a disposable paper trough. (773) 293-2655; www.whizzy4you.com. R.D. Equipment — Electric Leg Bag Emptier, device for draining leg bags. (508) 362-7498; www.rdequipment.com. Mobility Transfer Systems — SpillProof URSEC male urinal. 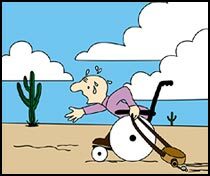 (888) 854-4687; www.bed-mobility.com. OnTheGo — OnTheGo, a soft plastic cup and tube. (727) 533-9184. Rochester Medical — Internal and external catheters for men and women. Supplies and components such as tubing, collection bags and condoms for catheters. (800) 243-3315; www.rocm.com. For women who’ve ruled out catheterization and absorption products, there are two kinds of urinary devices that might help. Those with some upper-body strength or who have trusted assistants might be able to use female urinals modified from the more familiar styles used by men. They’re designed to fit feminine anatomy and can be sterilized and reused. Most are priced under $15, and can be used with or without assistance, as long as the user can be positioned at the edge of a chair, with the device held in place as it fills. Another type of aid is collect-and-deflect items that either shunt urine directly into the toilet or send it to a tube that empties into the commode or a container. The abilities they require range from having a trusted assistant help guide the device into position to being able to stand briefly. For example, OnTheGo is a soft, reusable plastic cup connected to tubing. “If you’re able to hold onto it and fit it snugly against the body, it does create a seal so that there is no spillage when one is urinating. You would simply have to be able to sit on a chair and have the tube hanging over the chair,” says Kathleen Farrell, inventor of OnTheGo. For those who can stand, but who experience difficulty with the up-down movement of sitting and rising, a disposable paper trough called a Whizzy might help. Created by Janis Wagner, who is affected by muscular rheumatism, the sturdy, nonflushable product is designed for urinating from a standing position. To use it, women need to be able to hold the lightweight funnel in place and to stand long enough to void. Users face the toilet in a standing position. “I designed it specifically so that… if someone does not have grip strength, she can literally just let it rest on her fingers. I made it so that you don’t have to move your legs at all. You can keep them in a natural position. There is no bending of any sort that’s necessary,” says Wagner. The Electirc Leg Bag Emptier The Electric Leg Bag Emptier from R.D. Equipment enables users to drain leg bags more conveniently. An electric switch uses the wheelchair battery. Many people with neuromuscular disease find it useful to combine medical equipment with strategies and independent-living aids. For those with some arm strength, a sling-type device can be positioned under one leg, then used to lift it out of the way before placing a urinary collector. Other adaptive tools include a pair of plastic-coated tongs or a longer-handled reach extender to add range of motion for wiping. To leave hands free to aid in transfer and keep clothing accessible, some use a large set of clips connected by a cord similar to the ones used to keep a bag of potato chips closed. One clip attaches to the top of the pants, while the other fastens to the shirt. While dealing with the need to urinate away from home may require careful timing of fluids and selection of foods, it’s essential to make up for liquid loss as soon as possible. Going without fluids for eight or more hours a day is dangerous. “Dehydration leads to dry mouth, cramps and physical discomfort because your electrolyte balance gets thrown off. Then the kidneys aren’t getting flushed so that the medications you are taking are not being flushed properly,” says Maura Del Bene, a registered nurse who’s clinical administrator of the Division of Neuromuscular Disease at Columbia University in New York. Other possible risks of dehydration extend to cancer of the bladder, which is believed to arise from irritation of the bladder lining triggered by a buildup of chemicals. In a recent study by Harvard University of nearly 48,000 men, those who consumed 88 ounces of liquid per day had half the incidence of bladder cancer of that reported by men who drank 40 ounces per day or less. The conclusion was that drinking plenty of fluids may help prevent the disease by diluting the u rine, said the researchers. It’s recommended that average-sized adults (a 140-pound woman or 175-pound man) consume eight to 12 8-ounce glasses of noncaffeinated liquid daily. If you wait till you start to feel thirsty, by then, dehydration has already begun. Healthy urine output is about 30 ounces, or nearly a quart, a day. Another way to tell if you’re getting enough water is by checking the color of the urine. Liquid intake is adequate when the urine is pale yellow in color, but when the body is deprived of needed fluid, the output decreases and the urine turns much darker. .